I'd like to see more Americans participate in our political process by voting, and so I am inclined to support the efforts to increase voter turnout. 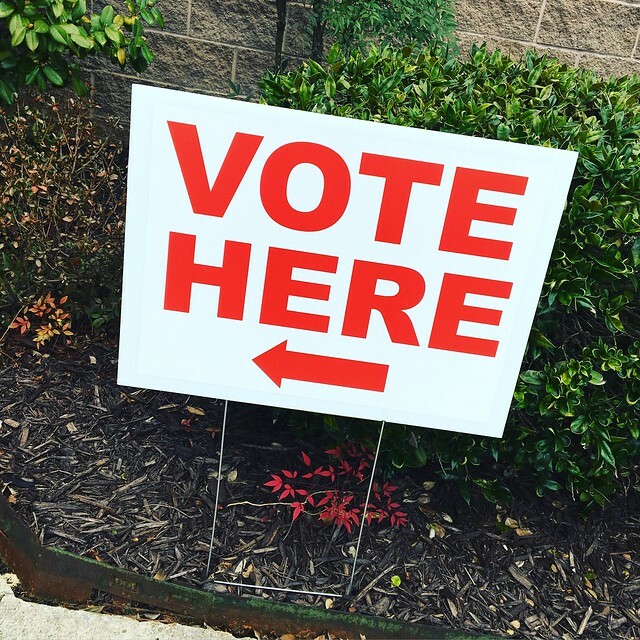 Recently, I have been seeing many people using social media to encourage others to vote. I think that's a good thing, and I applaud their efforts. I don't get to say this often, but I think that is a great use of social media. I do sometimes wonder, however, whether many of those encouraging others to vote assume that those they are encouraging will vote in the same way they themselves are planning to vote (i.e., for the same candidates, the same way on the same issues). Would they be so quick to encourage others to vote if they knew the people they were encouraging would vote for the opposing candidates or the other position on the various issues? I hope so. I'd like to see a significant increase in voter turnout regardless of the outcome. I'd like to see more people voting no matter who they vote for. I regard voter turnout as one sign of a healthy democracy, and I don't think ours has been very healthy for a very long time. And so, when I have encouraged atheists to register to vote or have written about how I am especially interested in seeing secular Americans vote at higher rates than evangelical fundamentalist Christians vote, I'm happy to include the secular Americans who would support candidates I oppose. I don't expect all secular persons to vote the same way. Of course, I'd also like voters to be informed. The sort of democracy we have is one that was designed to work best when we have informed voters. If the idea of educating oneself about the candidates and their positions on the issues that matter sounds quaint, that is unfortunate. We are supposed to be living in an information age where that sort of thing should be much easier to do than it used to be. And I know this may sound old-fashioned, but I consider voting to be part of one's civic duty. Man, when was the last time you heard anybody refer to "civic duty?" That makes me feel old. But yes, I view voting as one of those responsibilities that go along with all those rights we prefer to talk about. You can learn more about American Atheists' AtheistVoter campaign here.